Golf in Buffalo and Western NY is a passion for many! Many fair weather states are amazed by Buffalo’s love for all things outdoors. While Western NY is mis-categorized as being perpetually code, it is true that many southerners come to the area to enjoy more mild golf here during the summer instead of sweltering indoors under an AC unit down south. Needless to say there are dozens of gorgeous golf courses in the area. Unfortunately for visitors many are private or a lengthy drive away. Our criteria for best public golf course are, difficulty, maintenance, beauty, location and staff. On all these criteria we choose Diamond Hawk as Buffalo’s Best Public Golf Course. 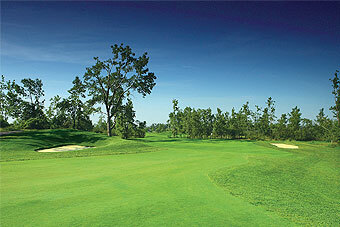 Diamond Hawk is a challenging course but offers 5 different tee boxes. Being familiar with the greens and pin placement of the day will definitely help you out. A low score here will make you feel like a golf god! The course maintenance is the best in all of WNY’s public courses and the integration of all the natural beauty is amazing. It is a rare day when you don’t see a deer or fox meandering its way happily through the course. The staff here is amazing and always helpful whether in the club house or in the bar. You can call for tee times or book them online which for some is a great addition! Diamond Hawk is also the easiest A+ golf public golf course to get to. Located right off the 33 right by the airport it is ideal for city/suburb people as well as those in town for weddings or business. 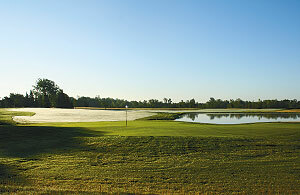 We congratulate Diamond Hawk on making the list for best public golf course in Buffalo. September 6, 2013 in Best in Buffalo.